Orekhov A.A., Dorofeev N.V., Romanov R.V. Monitoring systems of geodynamic objects built on the basis of multi-polar electrolocation equipment are widely used now due to the increased danger of technogenic catastrophes causing instability of geological structures. These systems consist of emitting electrodes and receiving contactless transformer sensors located directly in soil. Characteristics of the block components change over a wide range and sometimes fail due to severe service conditions of the sensors. The purpose of this paper is to develop technical diagnostics subsystem of the contactless transformer sensors blocks, allowing to identify characteristic deviations of block components from operational ones when operating geodynamic monitoring system on the object under control. It is important to identify block component failures transferring data to the central station. Keywords: environmental monitoring, geoelectric control, geodynamic object, technical diagnostics. 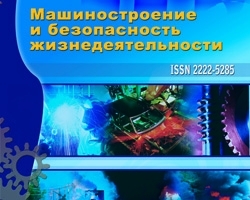 Kuzichkin O.R., Orekhov A.A. Design of the measuring path of the geoelectric monitoring // Design and technology of electronic means, 2011, № 1. – P. 25-30. Mozgalevskiy A.V., Koyda A.V. Issues of diagnostic system design. – L. Energoatomizdat, 1985. – 112 p.
Orekhov A.A., Dorofeev N.V. . Information-measuring system for geoelectrical monitoring of geodynamic objects // Radio Engineering and Telecommunication Systems, 2012, № 2, – P. 60-62. Safarbakov A.M. Basics of technical diagnostics: a training manual. – Irkutsk: IrGUPS 2006. – 216 p.